I was very excited to see a photo of my novel displayed at Hearthside Books and Toys in Juneau, Alaska. After all, the story takes place on a fictional small island in SE Alaska. And the characters visit Juneau more than once. So, the wonderful folks at Hearthside were curious about the "dig" my two main characters gave Juneau, one of whom comments on avoiding Juneau because of the drunken boat operators and the other adds that "It's an armpit, all right." To set the record straight, alcoholism is more prevalent in the smaller Alaskan communities than Juneau. Smaller communities often do not have the resources to deal with alcolism, homelessness and addiction. So addicts often wind up in Juneau. So in that sense, Juneau is no different than many cities, such as Seattle or Portland, where I live. But what's a fiction writer to do? Should we avoid disparaging remarks about a city or town or country? Apologize for doing so? Is it ever OK to insult a location? In my mind, there are a couple of considerations, the first being if it is serving the story. What is the context for the remark? In this case, the protagonist's daughter is a meth addict who started using on the small island on which they live. But he still sees the island as his home and a place of protection, a community where people look out for each other. Easier to blame ills, such as addiction, on the bigger cities. His own limited vision often keeps him seeing what is really going on around him. Does this perspective come through in the scene where the insult occurs? No. The reader has to sort through that after reading enough of the novel to say, "Hey, this main character doesn't always see things as clearly as he needs to." A mitigating tactic could have been to show Juneau in a more flattering light from a different point of view, perhaps from another character or an objective description of the city. For example, I could have described the beautiful shoreline of Juneau. But I did not. Why? Because it would not serve the story. 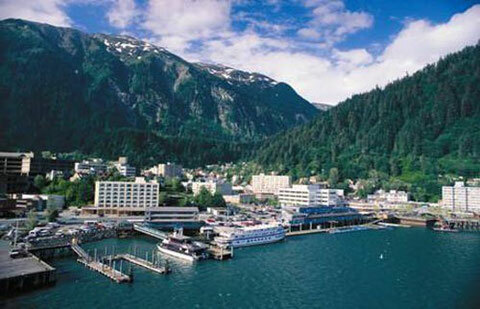 The characters' viewpoint of Juneau did. 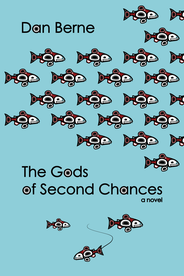 So, I hope the readers in Juneau and elsewhere will enjoy "The Gods of Second Chances" and I hope to see them in the not-too-distant future. Writers and readers, what do you thinK? Interesting that you worry about dissing a city or person in your novel. I have faced the same issue in the move I am just completing. I rationalize by saying that my work is fiction. If it makes the story better, I'll do it. That has nothing to do with my actual feelings. Does that make you feel better? We're a group of volunteers and starting a new scheme in our community. Your website provided us with helpful information to work on. You have done a formidable activity and our whole community will probably be thankful to you. Do you mind if I quote a few of your posts as long as I provide credit and sources back to your webpage? My blog is in the very same niche as yours and my visitors would really benefit from some of the information you present here. Please let me know if this okay with you. Thanks! Hi, I do think this is a great blog. I stumbledupon it ;) I may revisit once again since I bookmarked it. Money and freedom is the best way to change, may you be rich and continue to guide others. Greetings! I've been reading your weblog for a long time now and finally got the bravery to go ahead and give you a shout out from Kingwood Tx! Just wanted to tell you keep up the excellent job!